JEGS professional grade Click Torque Wrenches ensure fasteners are installed with proper torque settings. The scale is engraved into the body so it does not get distorted or rub off. The compact 1/2" drive wrenches measure 10 to 150 ft/lbs of torque. 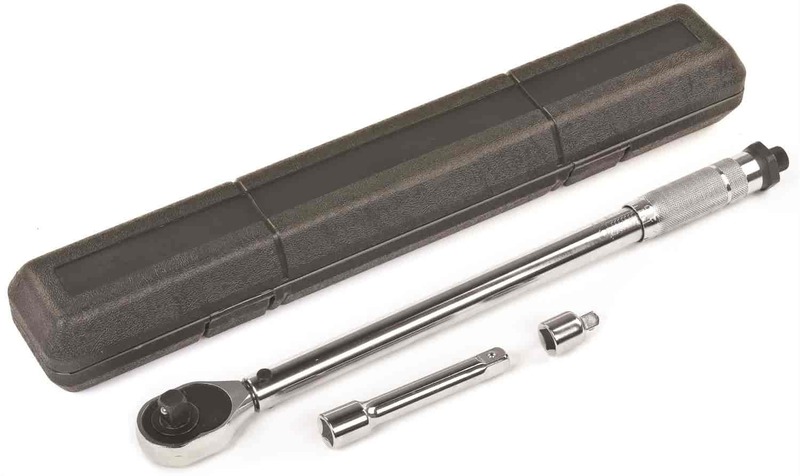 To step it up measure 100 to 600 ft/lbs of torque with the rugged 3/4" drive wrench. It is 40" long with bi-directional torque for heavy duty applications. All wrenches are constructed from chrome-plated steel for continued service and durability. 80580 is rated 4.7 out of 5 by 6. Rated 5 out of 5 by grob8565 from Great Torque Wrench I have ordered these in the past and have worked beautifully. Rated 5 out of 5 by grob8565 from Awesome Torque Wrench This is the second wrench I purchase from Jegs and it's great. Rated 5 out of 5 by Basque32 from Torque Wrench So far so good. Looks just like the one I bought from harbor freight that broke after a few uses. So we'll see. Rated 4 out of 5 by MattLoc from Great Bang for you Buck! I've own one of these before and have compared their accuracy to a more expensive model. Their accuracy is great, and the tool will last you a while if you treat it right. I gave 4 stars because they aren't the most durable. I got about 5 years, hobbiest use, out of my last one before it fell apart. Check the screws that hold the head together often and unscrew the hand to 0 and it'll last you. Definitely worth the $25. This is manufactured in Taiwan.